April 23, 2019 6:30 PM at the Performing Arts Center. 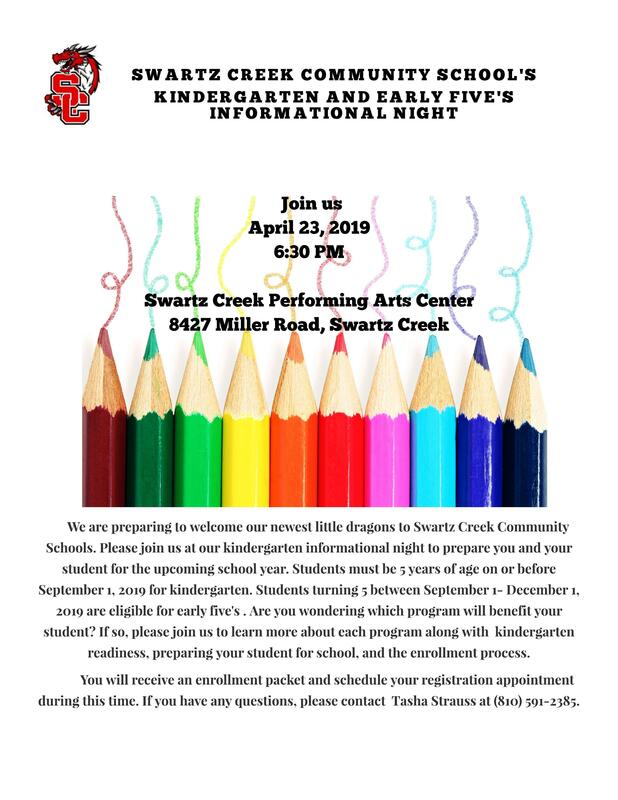 Pre-Registration is now open for Kindergarten and Early Five's. Please click the following link to complete pre-registration. Kindergarten and Early Five's Pre-Registration.